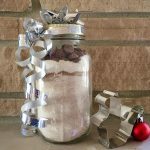 Easy DIY Gifting: Dog Biscuit Mix in a Jar | Woof Report | The best email newsletter for dog lovers. 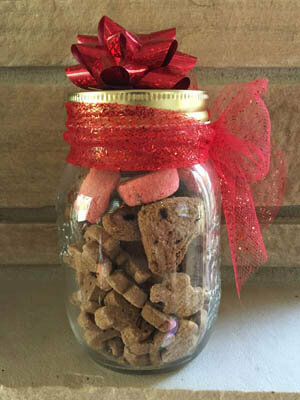 Try this easy and inexpensive do-it-yourself Dog-Biscuits-Mix-in-a-Jar Gift for the dog people in your life. Read on for a variation of this gift, which is even easier to pull together in a pinch! 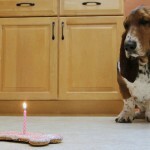 Just like ‘mix-in-a-jar’ gifts you’ve seen for cookies and muffins, this is the same idea — but with one difference, it’s for dog biscuits! 1-quart wide-mouth canning jar or flip top glass jar (either can be reused to store dog treats); the mason jar shown is around $9 for a set of 12 at amazon, but you can them just about anywhere – your grocery store, Target, etc. 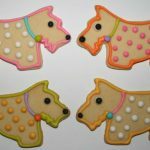 1 dog biscuit cookie cutter, or attach holiday or other fun cutters. 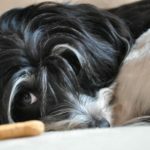 Here’s where you can add personalization — for instance, for squirrel-chasing dogs, attach a squirrel cookie cutter. Festive ribbon and a pre-made bow to place on top of the jar. 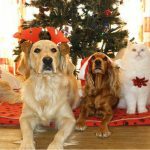 1 gift tag – Download a cute paw holiday gift tag at the Modern Dog magazine website. 1. Layer the dry ingredients in the canning jar, place the wrapped bouillon cubes on top of the mix, and close the jar tightly. 2. Write or type the baking instructions listed below on a small gift card. Another option is to download the cute paw gift tag pictured above from Modern Dog magazine, and add the instructions on the backside. 3. 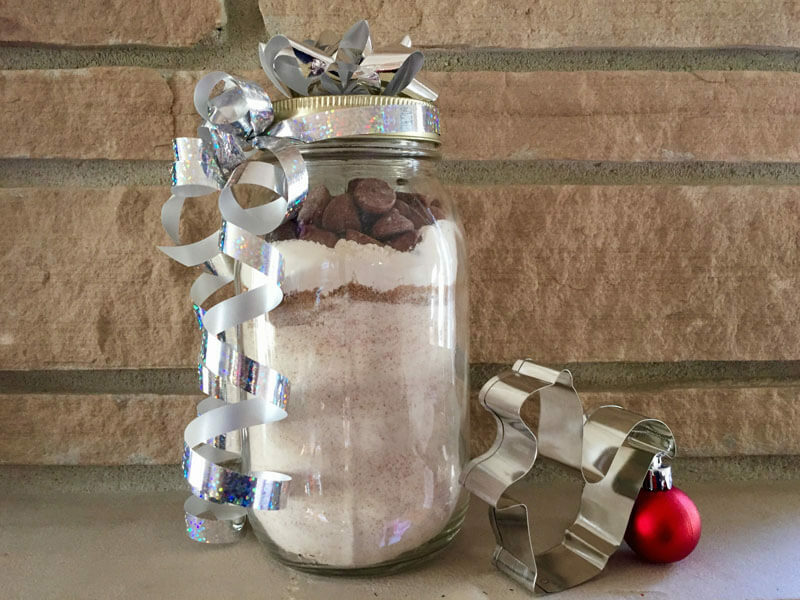 Wrap the festive ribbon around the jar and attach the gift card or tag/recipe along with the dog bone cookie cutter, and add a bow to the top of the jar. You’re done and it’s that simple! Preheat oven to 300 degrees F (150 degrees C). Lightly grease one cookie sheet. Combine the ingredients in the jar (whole wheat flour, nonfat dry milk powder, brown sugar and carob chips) with one egg (beaten), ½-cup vegetable oil, and beef broth. Mix well and knead dough for 1 minute. On a floured surface roll out dough to about 1/4 inch thickness. Cut out bones and place on cookie sheet. Bake for 30 minutes and allow the cookies to cool. If you want to keep it really simple (and for friends that would rather not bake), forget the mix! 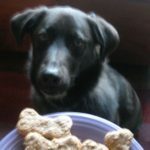 Here I’ve layered different types of dog biscuits in a jar, starting with cute Buddy Biscuits, which look a bit like gingerbread men.